As with any amateur baker hoping to rise in the ranks and finally trade in that Easy-Bake oven for the real thing, one must master the manipulation of temperatures, moisture levels, and precise ingredient measurements, whose slight deviation from ideal could render a cake dry or a brownie crusty (gross), before he/she may be rightfully deemed a skilled baker. A factor that many do not take into account while baking, however, is that of a change in altitude and in turn, in air pressure. 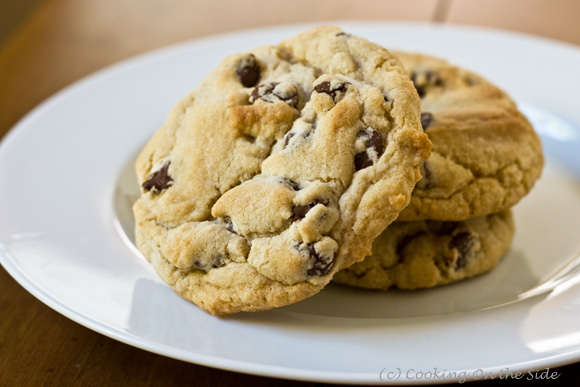 Since most recipes are designed for baking at sea level, grasping how changes in altitude affect the baking process is essential to understanding why certain modifications are necessary to counteract such effects and to producing the perfect baked good at a high altitude (>3,000 feet above sea level). Who knows? In 10 years’ time, you could be training to be a mountain cook and thanking me for providing you with your first exposure to the chemistry behind high altitude baking. In order to facilitate a comprehensive delivery on my part of all the factors that influence the baking process at high altitudes, I will address three significant changes that come hand in hand with a change in altitude and collectively represent the answer to the question posed in the title of this post. For one, water boils at a lower temperature with a rise in altitude. Why does going up in elevation result in a lower boiling point? Let’s take a minute to consider prior knowledge. If it is known that atmospheric pressure decreases as altitude increases and that the boiling point of a liquid represents the temperature at which its vapor pressure is equivalent to the atmospheric pressure, then it may be concluded that at higher altitudes, the vapor pressure of the liquid could level with the atmospheric pressure at a lower temperature. The greater length of time necessary to bake goods at higher altitudes may be attributed to this observation, as the lower temperature impedes the chemical and physical reactions that take place during baking and cooking. Secondly, liquids are more volatile at higher altitudes. If the boiling point (the temperature at which a liquid may vaporize or a gas may condense) of a liquid is lowered at higher elevations as previously mentioned, then it follows that liquids are also more apt to vaporize or have an increased volatility at greater heights. Then, what does this mean for your baked goods? Moisture would leave your baked goods much more readily at a higher altitude, potentially jeopardizing the overall structure of the goods and subduing the flavor now that there are fewer moisture molecules to carry the aroma. Lastly, air bubbles more readily expand and rise at high altitudes. With a low atmospheric pressure, there is less of a force over the given area counteracting the push of the gases within, resulting in the rapid expansion of leavening gases or bubbles formed from the air, carbon dioxide, and water vapor that rise in products with yeast, baking soda, or baking powder. The next time you go trekking through a mountain and are suddenly overcome by a craving for baked goods, recall these chemical applications to assist you in your baking endeavors! Categories: CX | Tags: atmospheric pressure, baking, boiling point, leavening gases, vapor pressure, volatility | Permalink. Have you ever wondered how making ice cream the old-fashioned way actually works? Well, let’s say one night, you put both a water bottle and a container of vanilla ice cream in the freezer. The next day, when you open the freezer, the water bottle is frozen and rock-hard. But what about the ice cream? Why does the ice cream remain solid-like but still slightly soft? This is because ice cream has a lower freezing point than water. Ice cream contains many particles, which makes it harder for the water molecules in the ice cream to push the particles out of their way and become solid to form ice. The lowering of the freezing point of a liquid by adding compounds to it is known as freezing point depression. This is exactly what occurs in the process of making ice cream! The vapor pressure of the solution is lower than that of the pure solvent. Therefore, the freezing point is also lowered. See how the freezing point of the solution is lower than the freezing point of the pure liquid. As I stated before, this is because the solution has added particles into it that the pure liquid does not have, making it more difficult for water to reach the order and organization required to form ice. 2. Fill the larger bag half full with ice. 3. Sprinkle 100mL (1/2 cup) of rock or coarse salt over the ice. 4. Seal and place the small bag inside the larger one surrounded by the ice mixture. Seal the big bag. 5. Time one-minute intervals. At the end of each minute, flip the bag over on the other side. Repeat the “flippings” about 10 times. 6. After 10 times, begin flipping the bag over every 30 seconds for 5 minutes. 7. Check to see if your ice cream is the right consistency. If it is not, continue flipping the bag at 30-second intervals for another 5 minutes. Pay particular attention to step 3, which is highlighted in a cyan color. This will be the focus of our discussion. While making ice cream, heat must be removed from the water in the cream to solidify. However, because of all the particles ice cream contains, the temperature must drop below 0 degrees Celsius in order for the mixture to become solid. Therefore, pure ice cannot be used to freeze ice cream, because it’s freezing point is 0 degrees Celsius, which is higher than the freezing point of ice cream (which is around -3 degrees Celsius). A solution to this problem is the addition of rock salt to ice, which lowers its freezing point. This is because energy is required to form the hydrogen bonds necessary for ice, and when impurities such as salt are added to water or ice, they prevent water from making hydrogen bonds and achieving solidity. Hence, the water must become even colder before it freezes. So how does this affect the immediate temperature of the ice? Adding salt to ice causes the temperature of the brine solution to decrease dramatically, because as the ice melts, the “heat” of the ice mass is preserved by lowering the temperature (this is called latent heat). As a result, the temperature is lowered to below the freezing point of pure water, and the solution can be used to freeze ice cream. This process of freeze concentration continues to very low temperatures. Even at the typical ice cream serving temperature of -16 degrees Celsius, only about 72% of the water is frozen. The rest remains as a very concentrated sugar solution. This helps to give ice cream its ability to be scooped and chewed at freezer temperatures. Air content also contributes to this ability. Categories: JCL | Tags: chemistry, freezing point depression, ice cream, JCL, science | Permalink. What is in Cake Mix? Flour: When combined with water, the mixture forms gluten, a complex protein that allows for the formation and maintenance of gas bubbles, which provides the mix with its malleability. Sugar: In addition to sweetening baked goods, sugar allows baked treats to maintain their moisture, thus increasing shelf life. Sugar also influences yeast growth; while a sufficient quantity of sugar is necessary to instigate yeast growth, superfluous sugar may render the yeast growth process inactive. Leavening: What are the two most common leavening agents? 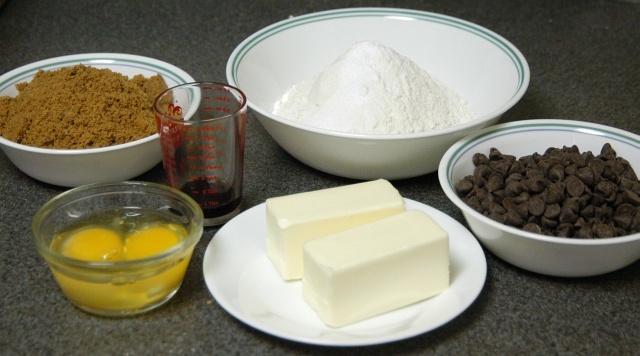 Both baking soda and baking powder are used for cake batters to rise. Simply put, leaveners raise baked goods by expanding the gas bubbles produced by the creaming of ingredients. Baking powder constitutes baking soda, at least one acid salt, and cornstarch to take in all moisture and prevent a reaction from initiating until another liquid is poured in with the batter. When used in cake batter, baking powder reacts in two stages, with the first occurring when the powder is added to moistened batter and an acid salt reacts with the baking soda to form carbon dioxide gas. Once the batter is in the oven, the imposed heat forces the gas bubbles to enlarge and the batter to rise. On the other hand, baking soda, or sodium bicarbonate, leaves most of the leavening to baking powder when both are required in a recipe. Emulsifier: Emulsifiers fix the fats and liquids together and contribute to the moistness of baked goods. The most common of emulsifiers is soy lecithin. Categories: CX | Tags: baking, cake mix, emulsifier, flour, leavening, molecular gastronomy, shortening, sugar | Permalink. Caramelization is the process of sugars breaking down. This is often used as a general term to describe the Maillard Reaction. However, these two browning processes are very different. The Maillard Reaction is the break down of sugars in the presence of proteins, therefore it contributes to the browning and flavoring of bread crusts. Simply speaking, caramelization is the process of removal of water from a sugar (such as sucrose or glucose) followed by isomerization and polymerisation. In reality the caramelization process is a complex series of chemical reactions, which is still poorly understood. Below is a table listing the Stages of Caramelization. Caramelization is sensitive to its chemical surroundings. 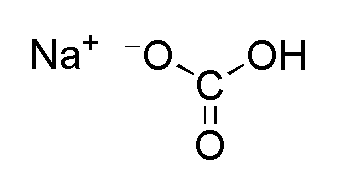 For example, the level of acidity (pH) must be controlled or else the reaction rate may be altered. Caramelization usually occurs slowest when when the acidity is near neutral (pH of 7), and it is accelerated under both acidic and alkaline conditions.The different stages of caramel production all have distinct names based on the characteristics of the product. “Thread” indicates the fact that sugar can be spun into soft or hard threads, “ball” indicates that sugar can easily be molded into a proper shape, and “crack” indicates that the sugar will hard after cooling (and crack when it is broken). What is the difference between Enzymatic and Non-Enzymatic Browning Reactions? How does temperature affect the Maillard Reaction? What are some desirable and undesirable affects for all three reactions? What is the difference between the Maillard Reaction and Caramelization? Which reactions occur in baked goods? Look forward to our future posts discussing the chemistry of baking! McGee, Harold. On Food and Cooking; The Science and Lore of the Kitchen. New York: Scribners, 1984. Richardson, Thomas, and John W. Finley, eds. Chemical Changes in Food during Processing.Westport, Conn.: AVI Pub. Co., 1985. Waller, George R., and Milton S. Feather, eds. The Maillard Reaction in Foods and Nutrition.Washington, D.C.: American Chemical Society, 1983. Categories: JCL | Tags: caramelization, chemistry, food science, kitchen chemistry, maillard reaction, molecular gastronomy | Permalink.